On Tuesday 11th June 2013, the Centre for Intellectual Property Policy and Management (CIPPM) showcased its research as part of the Law Department’s Festival of Learning event. The Law event showcased placement opportunities for students; various law provisions at Bournemouth and research carried out by the Law Department – which included a CIPPM Stall. The Stall was divided into three sections: Experience, Learn and Connect. The event was attended by academics, legal practitioners and students. 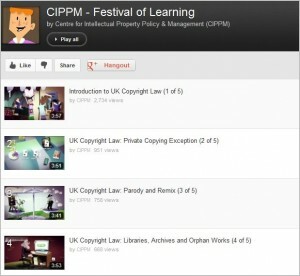 Under the theme, ‘Experience’, CIPPM showed videos on copyright law produced in 2012 in the run up to the implementation of copyright exceptions recommended as part of the Hargreaves Review. Videos shown on the day also demonstrated Intellectual Property issues surrounding 3D printing and evidence based copyright. As part of the ‘Learn’ theme, CIPPM showcased its members’ research publications. These varied from peer reviewed journal articles to commissioned reports and recently published monographs. The collection of high quality research publications was also reflective of the various areas of research that CIPPM members are involved in. It was also an opportunity for CIPPM’s PhD students to exhibit their research. Apart from demonstrating CIPPM’s various involvements in the areas of IP law, the Festival of Learning was an opportunity to present a platform for future collaboration which was carried out under the ‘Connect’ theme. By representing previous partnerships leading to successful research projects, those with an interest in research into IP law were invited to collaborate and join forces with CIPPM. 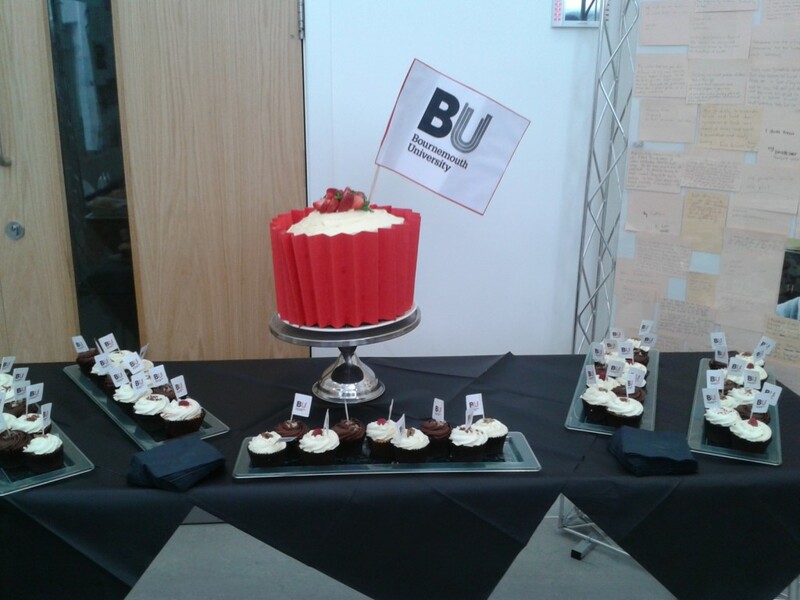 Keeping up with CIPPM’s cake-cutting tradition and in celebrating 20 years of Law at Bournemouth University, the event was brought to a close by cutting and eating a very large cake!